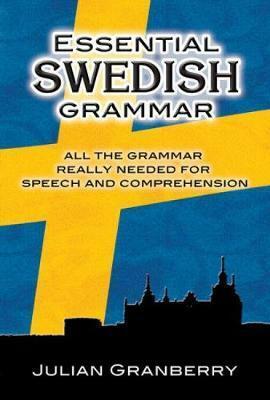 Designed for those with limited learning time, this book is not a condensed outline of all aspects of Swedish grammar. Rather, it focuses on simple everyday communication, helping students use previously learned phrases and vocabulary more effectively and with greater versatility. Whether you are just beginning the study of Swedish or wish to review the fundamentals, "Essential Swedish Grammar" enables you to learn in a systematic way, at your own rate, guided by your own requirements and interests.